March Madness is upon us. 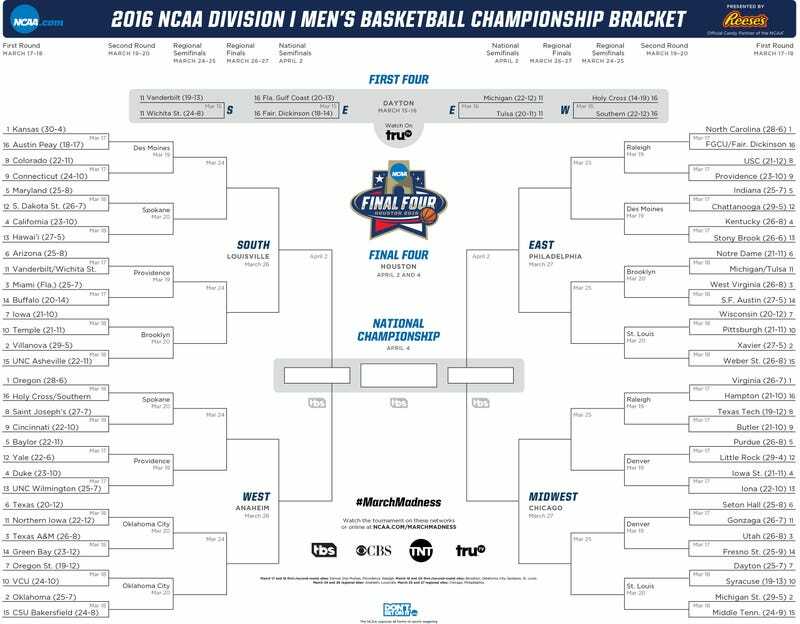 Here’s a link to download and print your NCAA tournament bracket. Who do you have going all the way? My money’s on the Cal State-Bakersfield Roadrunners.